Andromedia sails away in her magical galleon in search of adventure beyond earthly boundaries to worlds beyond the stars. As she travels she listens to the strange and haunting sounds of flower music emitting from her gramophone, spreading "Morning Glory" in her wake and creating rainbow butterflies. 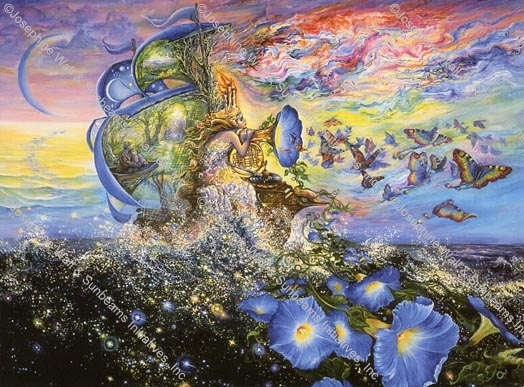 As the cosmic currents waft through the sails they portray a vision of other lands to be discovered in other dimensions.